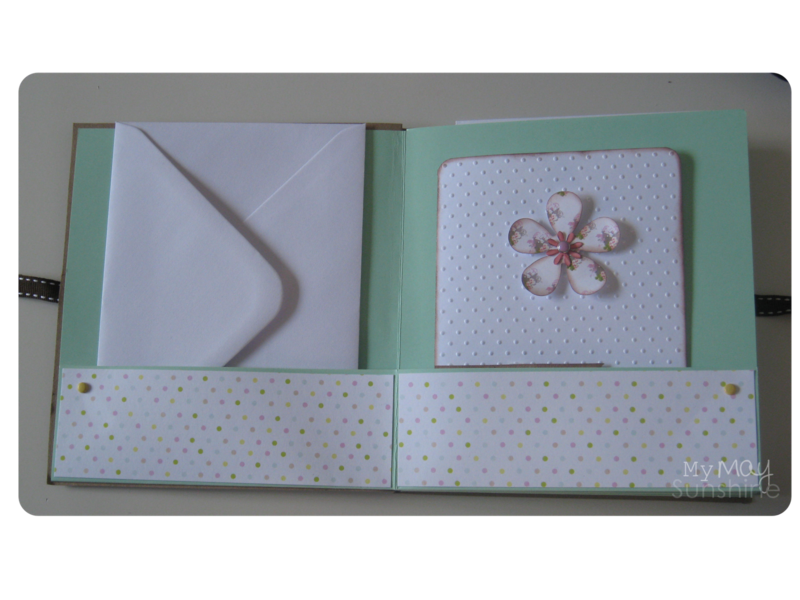 I like making sets of cards to give as presents and like to find different ways to present them. 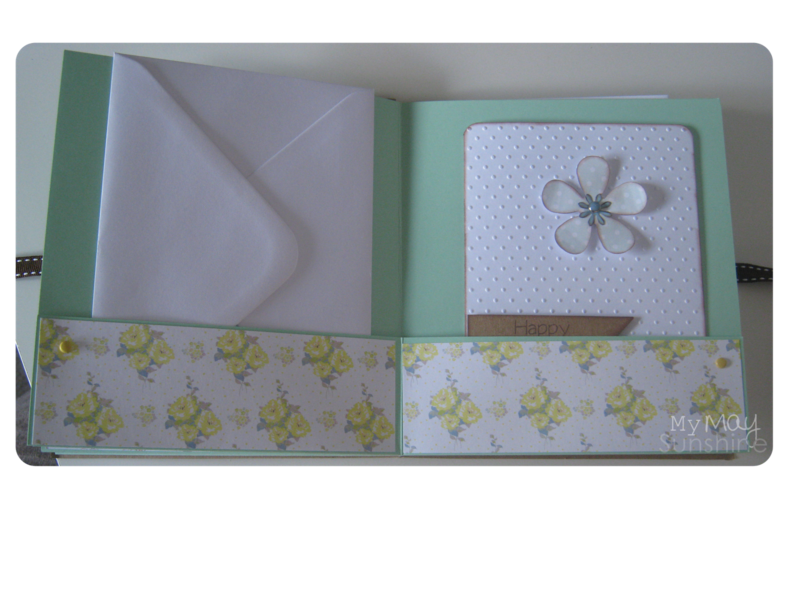 This time I chose to just make a small set of four cards with envelopes and make a little book to put them in. 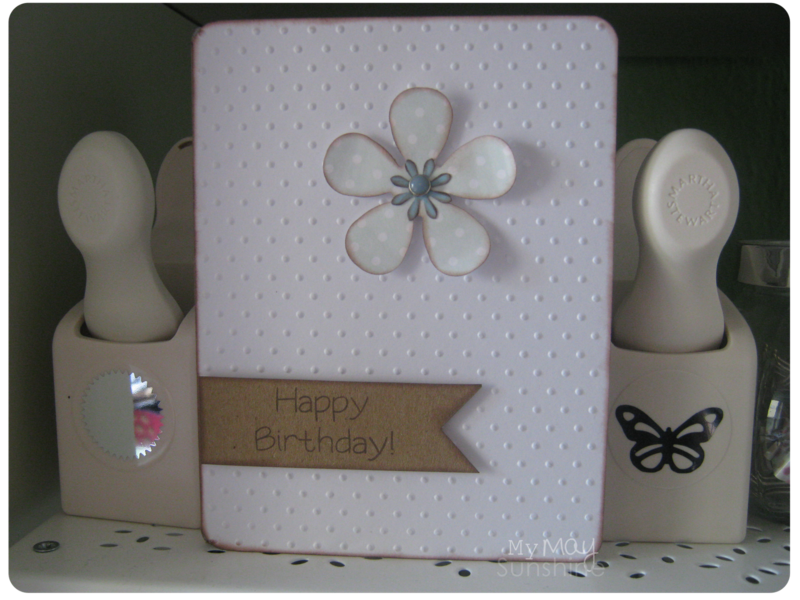 I chose to keep the cards the same design but with different sentiments and patterned paper. Papers – My Minds Eye Bloom and Grow and Papermania’s Summer Bloom. Flower – EK Success punch. Stamps – My Pink Stamper’s Fabulous Phrases. 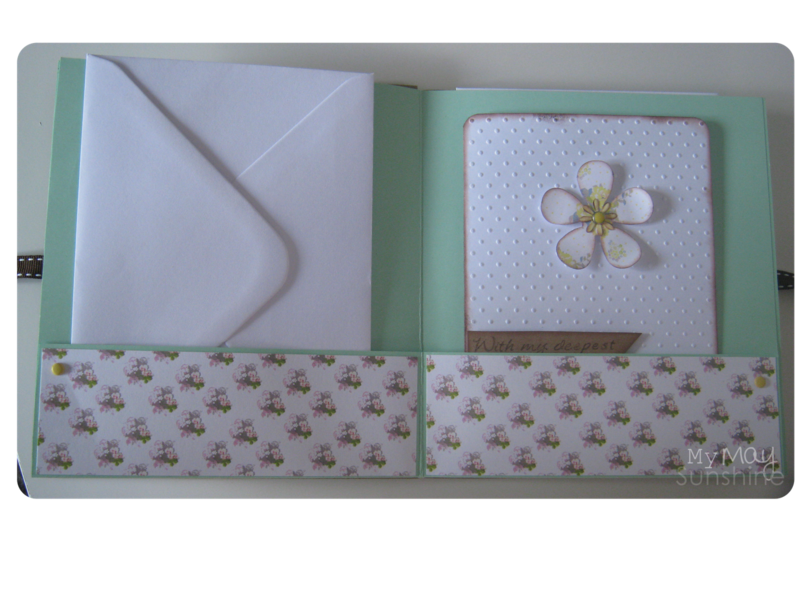 Embossing folder – Cuttlebug Swiss Dots. All four sentiments came from the same stamp set – My Pink Stamper’s Fabulous Phrases and nearly all the patterned paper was from Papermania’s Summer Bloom so it was easy to put together. 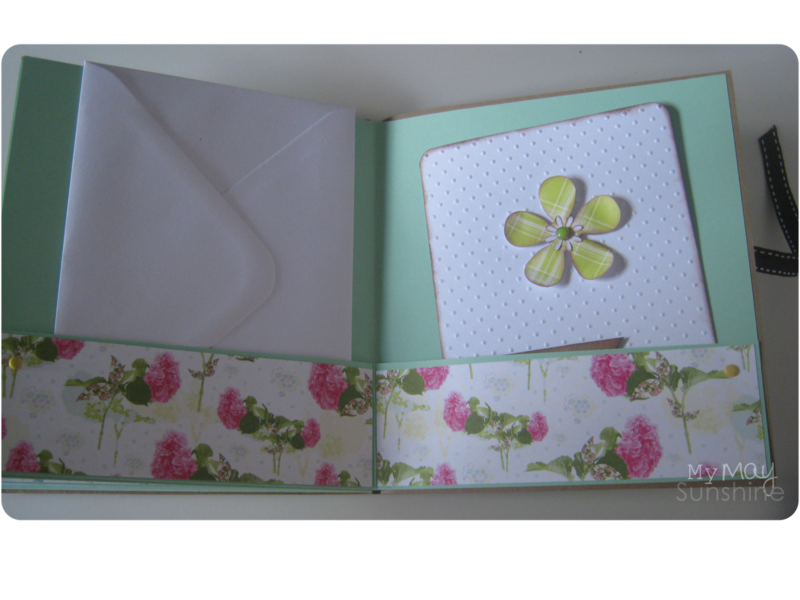 On the inside of the book I covered the lower flap, on each page, with patterned paper and secured the sides with a brad so it is easy to slip in the card and envelope. I think they turned out really cute and makes a nice little present. Next Post Organising and storing DVD’s.